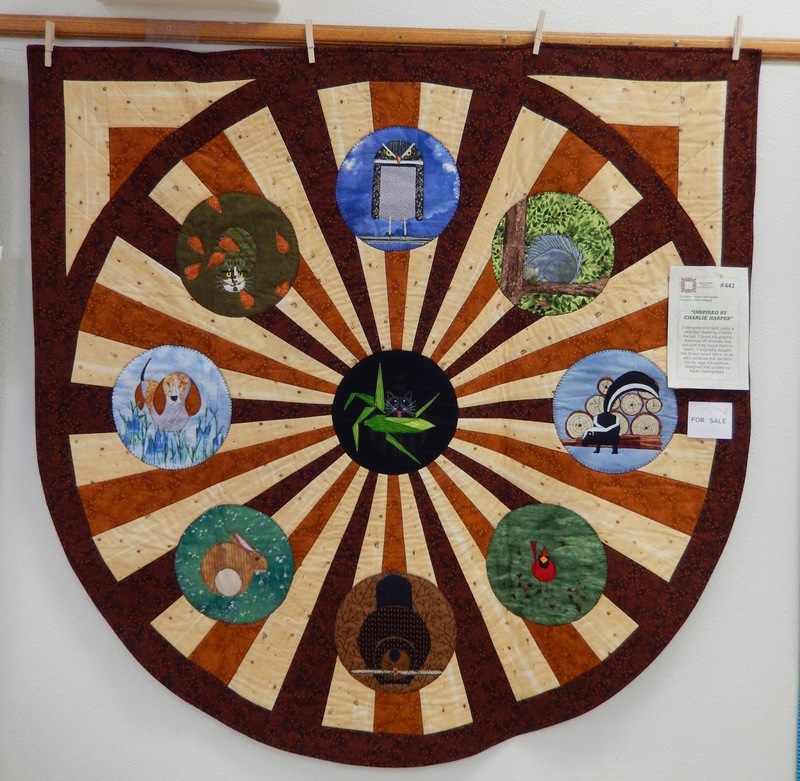 If you missed yesterday's post about the Valencia Valley Quilt Show, you can check it out for more quilts from the event. Today, I wanted to share Inspired by Charley Harper, which was designed and quilted by Karen Springstead. 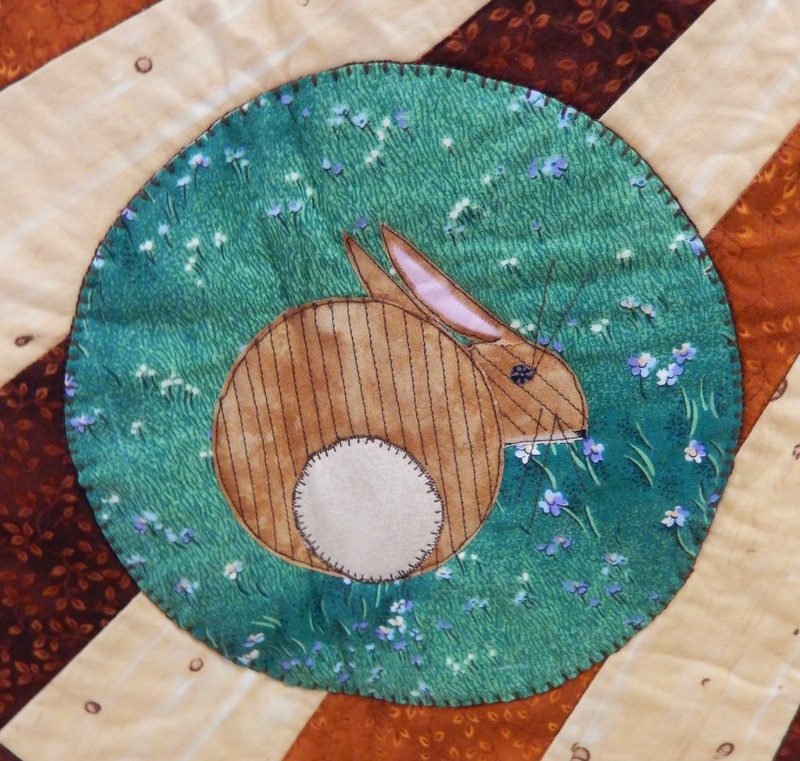 Karen explains her inspiration, "I designed this quilt using a calendar made by Charley Harper. I loved his graphic drawings of animals and thought they could be done in fabric. I originally bought the brown wood fabric to do attic windows, but decided not to cage the animals." Who wants to see more animals up close and personal? In case that's not enough excitement, did you know that there's Charlie Harper fabric available? Wowsers! How fun is that?